Treviso, class 1970. 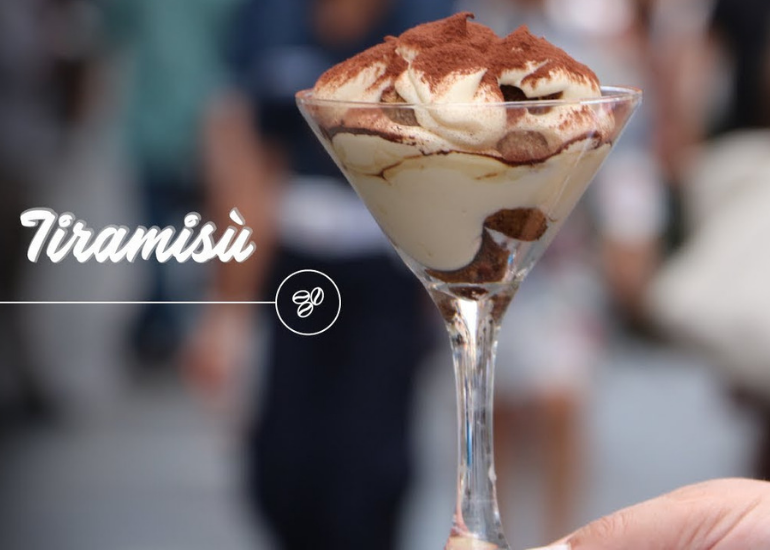 These are the origins of one of the most famous and appreciated Italian sweets in the world, namely tiramisu. His first appearance on the Italian dessert list was in the famous restaurant Alle Beccherie, by the pastry chef Loly Linguanotto who began a real revolution. The dessert in fact enjoyed so much that it aroused the interests of other pastry chefs, restaurateurs who soon reproduced the recipe and personalized it. This dessert owes all its goodness and its fame to what we could call its ancestor or the “sbatudin”. The sbatudin was in fact a typical Treviso dessert made with poor but at the same time energetic ingredients. In fact it was characterized by a base of egg yolk assembled with sugar and was strictly addressed to children, the elderly and convalescents. Starting in 1970, thanks to the publication by the gastronomist Giuseppe Maffioli, of the book “La Cucina Trevigiana”, confectioners and restaurateurs began to take an interest in this poor dessert present in the book, but choosing to enrich it with new ingredients that gave life to the wonderful recipe of the tiramisu that we all know today. Even at the Gran Caffè Gambrinus, tiramisu could not be missing in the cabaret of desserts, now a milestone in Italian pastry, perfect to taste by the glass, as often happens with desserts, for a pause of taste and style. The tiramisu has on its side, great properties including that of being able to challenge time, presenting itself in an ever-changing manner while maintaining its traditional yet innovative matrix. The tiramisu in fact, while not losing its traditional taste, has recently been presented in the most disparate variants. It has been transformed from a dessert to a dish, to a dessert served in a martini glass, until it is presented in a single-portion format to satisfy finger food lovers. In short, it is a dessert that over time has been able to place itself in a difficult position, or rather in the middle between tradition and modernity, always satisfying everyone’s palates.